1. Combine water and sugar in a saucepan on medium heat and bring to a boil. Add nuts when mixture starts to turn a light caramel color and stir continuously until the nuts are coated. Spread out on a lined baking sheet to cool. 2. 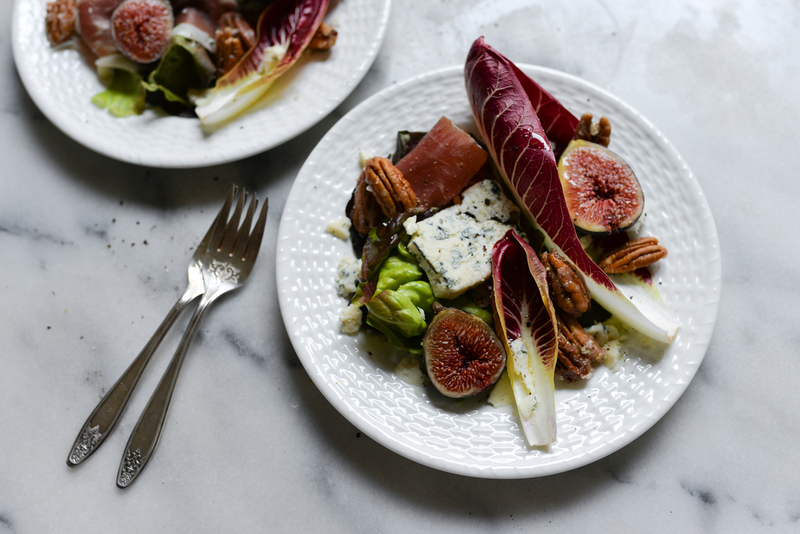 Set out 6 plates and evenly distribute gem lettuce and radicchio leaves across the plates. Slice figs in halves. 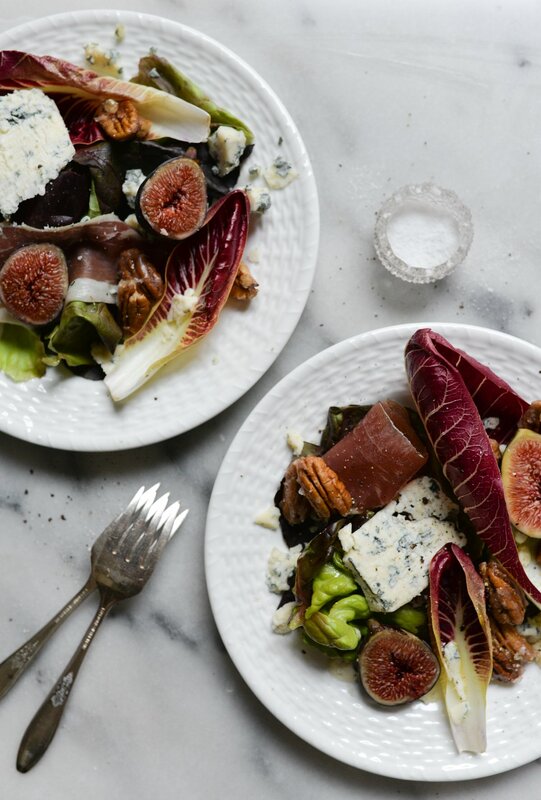 Split prosciutto, blue cheese, figs and candied nuts evenly between all plates. 3. Whip 1 tbsp balsamic vinegar and 2 tbsp olive oil together and pour over salad. Finish with a crack or salt and pepper and enjoy with a glass of red wine!